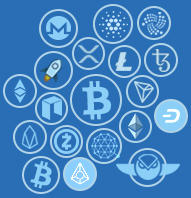 Whether you want to invest for the first time in bitcoin, whether you have experience in trading bitcoin, or whether you want to sell your own bitcoins, CryptoCoin is where you can do any of these things. You can choose from many ways to pay. You can pay with your credit/debit card or you can choose to make a bank transfer. We also accept SEPA transfer. We take care of the security of your payments and secure your money. We take the volatility risk and secure the price for 24 hours. You benefit from the best commission for the Bitcoin price. You can safely store your EOS directly into your account. We use cold wallets for security. We are always present to answer any queries on chat, phone or email. Instant payment processing and an intuitive platform specifically designed for you. Do you want to buy EOS quickly? Follow the 3 steps below. Register and create an account at CryptoCoin.Pro. A confirmation link will be sent at the end of the process on your email. Our platform is one of the safest platforms because we have implemented the most important international Bank Approved KYC & CDD Services so we need your official information to have an account enabled. Place a EOS order and follow the steps in the email to complete the transaction. You can instantly buy bitcoin with your card or bank transfer. EOS is a decentralized virtual currency, which allows the development, hosting and running of decentralized applications. Through EOS decentralized application hosting is possible, being a reliable currency, transactions being made very quickly.